centre and with FREE admission it’s a must do for families and visitors. 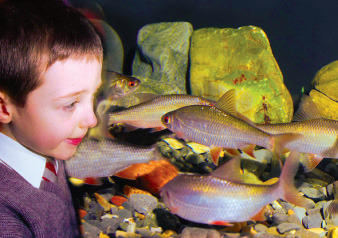 Watch the fish swim about the tanks and learn all about our local wildlife. We have lobster, crabs, starfish, coalfish, blenny’s and lots of other marine and freshwater fish and shellfish. We are also continually changing our livestock so it’s always worth another trip! There are free activity packs to keep the kids entertained and all indoors, it’s a great wet weather option too!